A healthy metabolism is a sign of good health. There are only a few shortcuts, if any. The fac is that exercising, with a focus on interval training and muscle building, eating a nutritious diet and getting a healthy amount of sun exposure, along with solid sleeping habits can do wonders for your metabolism and building a solid foundation for good health. 1. Cut down or eliminate sugar, junk foods and processed foods from your diet - Look for hidden sugars, even in healthy foods. Most people are do not do well with their weight loss program until they cut down or totally cut out grains, pasta, potatoes, rice and corn. Its also a good idea to go easy on dairy products as they contain lactose, a form of sugar. 2. Do not slash the calories - If you cut down on your calories suddenly, your body will think that its “lean times” and put the brakes on fat burning and weight loss. 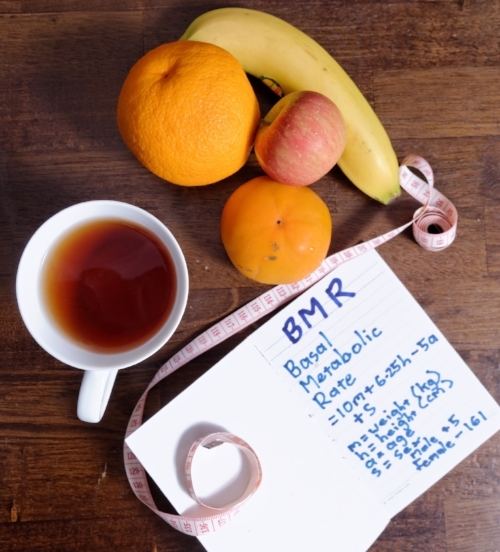 It is important to eat regularly enough calories to match your resting metabolic rate. 3. Always eat breakfast - Eating a nutrient rich morning meal shortly after waking up literally kick starts your metabolism. According to the National Weight Control Registry in the USA 78% of those who keep it off eat breakfast. Some suggestions foir a healthy breakfast: oatmeal with almonds and berries, or a spinach-and-feta omelet with a slice of whole-grain toast. 4. Eat foods rich in zinc or supplement - The thyroid gland requires zinc to produce thyroid hormone which is needed for fat burning and energy production. Zinc even helps to control your appetite. Food sources of zinc: fish, free range chicken, sesame seeds, spelt. Women need about 8 mg a day while men require 11 mg.
5. Don’t forget your omega 3s - Omega-3s balance blood sugar levels and reduce inflammation, helping to regulate metabolism. Omega 3s also reduce resistance to the hormone called leptin, which controls your appetite and the rate fat is burnt. Food sources of omega 3s: ground flaxseed, walnuts, or free range eggs and fatty fish. You can also supplement with cod liver oil. 7. Build muscles and add interval training- Lean muscle mass speeds up your metabolism and helps to loose the extra pounds. Periodic high interval training raises your metabolism better that regular cardio workouts. 8. Get regular and ample amount of sleep - your biological rhythm of sleeping and waking, also known as circadian rhythm, is closely linked to your metabolism. Some studies suggest that proper sleep and diet may help maintain or rebuild the balance between your circadian clock and your metabolism. Lack of rest or disruption of normal sleep patterns can contribute to increased hunger and over eating, which leads to obesity-related illnesses and accelerated aging.